Earn $15.00 in VIP credit (1500 points)What's This? 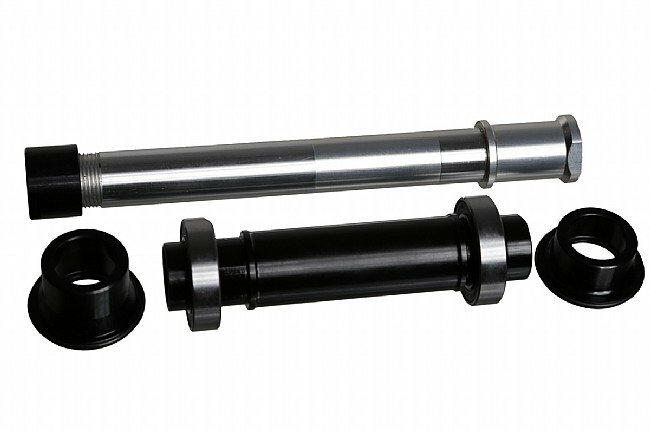 Convert Sonic Disc Brake Hubs from August 2014 and later to 12 mm or 15 mm front and 12 mm rear thru-axles using one of these HED Thru Axle Kits. Compatible models include Ardennes, Jet, and Stinger Disc Brake wheels. Compatible with Sonic Disc Brake hubs manufactured August 2014 or later. Front hubs must have at least a 15 mm bearing inner diameter. Feel free to contact us with any questions.